Sigma 8-16mm f/4-5.6 DC HSM Lens - Nikon Fit. 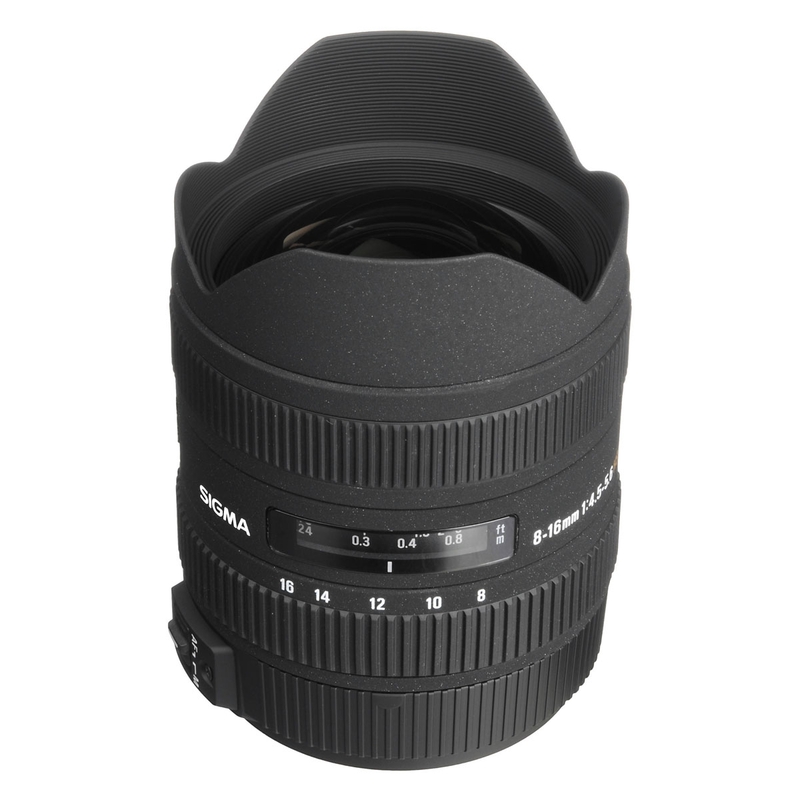 The Sigma 8-16mm F4.5-5.6 DC HSM is an ultra-wide angle lens designed specifically for APS-C DSLRs. FLD glass elements (with performance equal to fluorite) help compensate for color aberration while a hybrid aspherical lens and two glass mold elements provide excellent correction of distortion and astigmatism. A highly creative tool, the Sigma 8-16mm 4.5-5.6 DC HSM features an inner zoom system as well as the feature of full-time manual focus override. Ideal for a variety of photography subjects including landscape photography, architectural photography, wedding photography, photojournalism and interior photography to name a few.